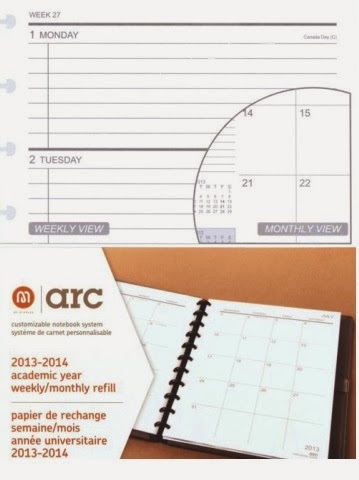 Get Organized and Keep It Together With The Arc Planner From Staples - GIVEAWAY! I have been working on reorganizing my planner for the new year. I am always trying to simplify and improve the process. I was tired of spending money on planners with pages that I didn't need or couldn't use. I also wanted more room for things I did need and different pages. I decided to make my planner myself for the new year. a combination of pre-printed calendars, printables, and some office supplies from Staples. 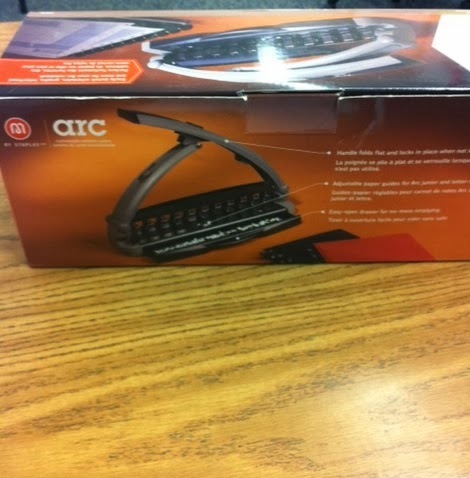 I decided to use the Arc Planner from Staples. I love that you can add or delete things as you need. I was tired of spending money on planners with pages that I didn't need or couldn't use. I love the fact that I can make this planner work for me! I also bought the punch so that I could add things that I print out as well. It was a little pricey (but more cost effective than similar systems), but well worth it in my opinion. 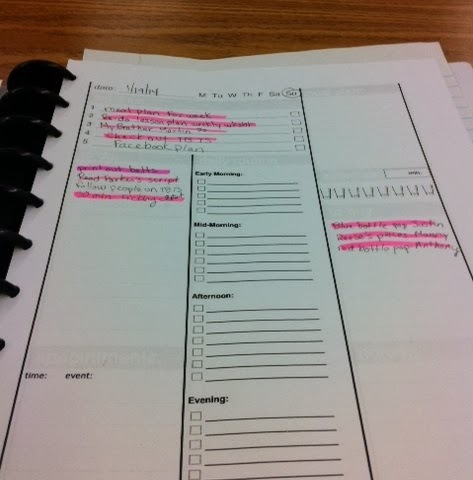 When you open up my planner, the first thing that you see is my information sheet. I took a planner class once, and the instructor said that this is one of the most overlooked but necessary pages in a planner. If you lose it, how will someone contact you to return it? I never worried about this before, but after hearing that suggestion, I will never forget to include it! My life is in this planner! The next page is my Daily List. I printed this one out from Andrea Dekker because it has space for both my work and home life. I usually keep about one week's worth of these sheets so that I can add items as they come up. As I finish each task, I highlight it (I don't know why, but the highlighting makes me feel accomplished - don't judge!). 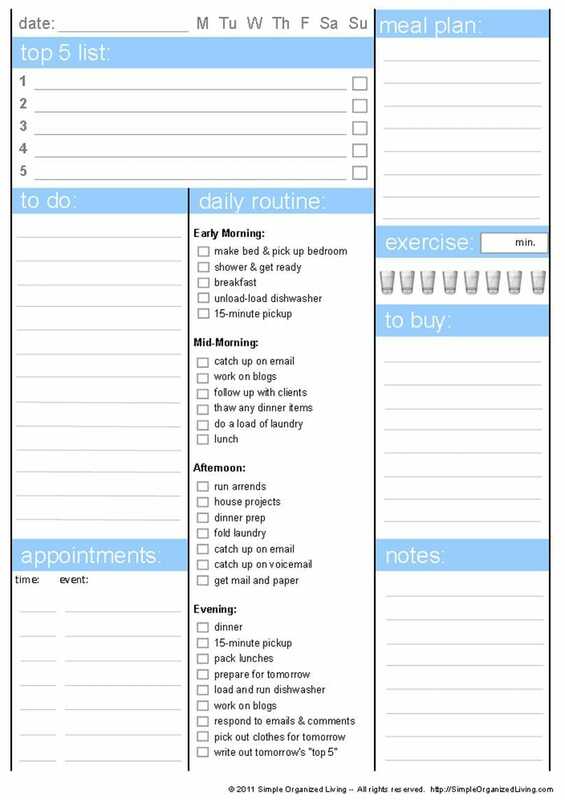 When the day is over I take that day's list out and add any unfinished tasks to the next day's list. 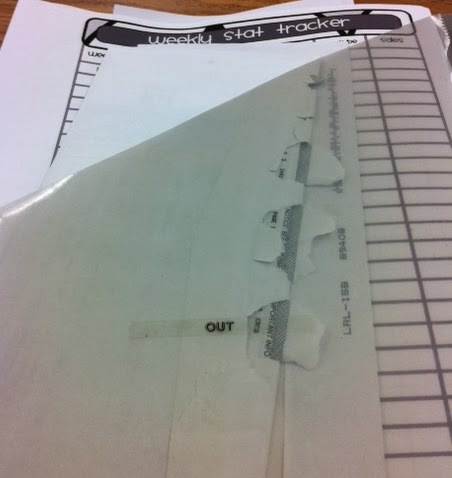 My In/Out folder is a place to temporarily store papers. 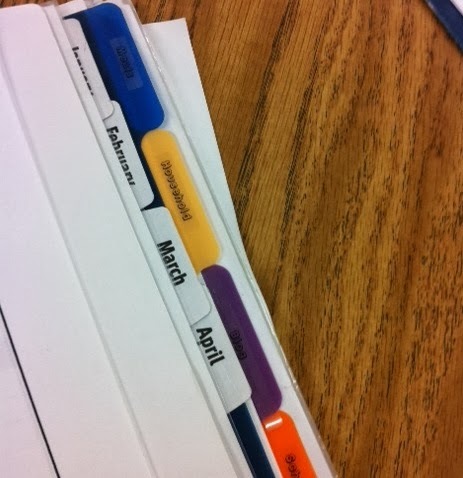 I bought the pocket dividers and used my label maker to label In and Out. When I get a new piece of paper that I can't deal with right away, I place it in my in folder. When I need to do something with a piece of paper (mail, file, deliver to the office, or make copies) I stick it in my out folder. I bought monthly labels similar to these ones so that I could label the months for easy access. I only keep four months at a time in my actual planner, the rest are tucked inside a folder in my file cabinet. This helps keep my binder from being too bulky. That is one reason that I LOVE the arc, because you can add and delete papers to the planner whenever you want or need too because of these handy rings. 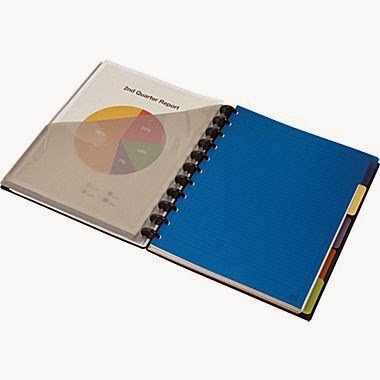 I also love the fact that they come in various sizes so you can customize your planner to fit YOUR needs. I opted for the larger rings because I use my planner for my household, school, and blogging and TpT needs. 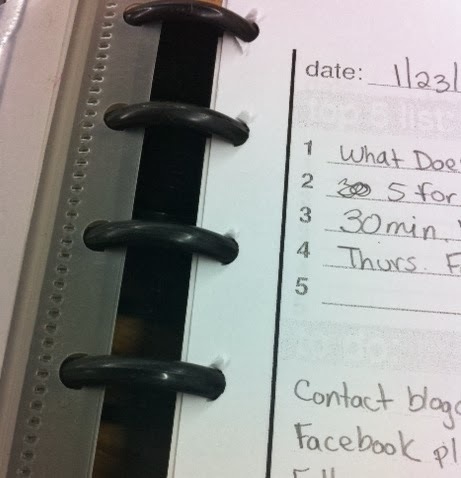 Behind the calendar, I have five divider tabs for each section of my life basically. 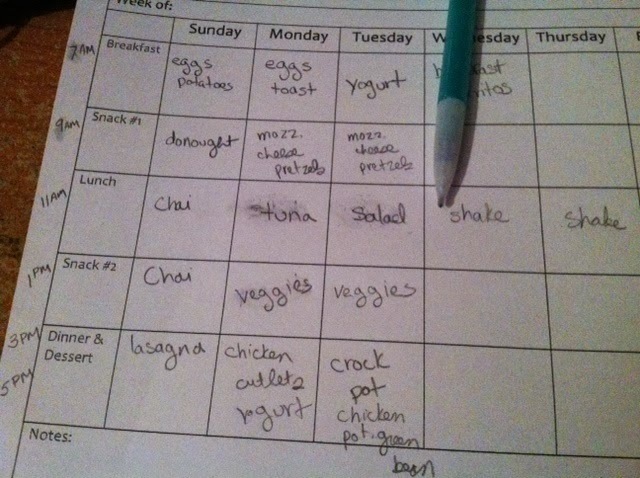 I have them labeled Meals, Household, Blog, School, and TpT. The beauty of this system is you can label them however you would like to suit your own needs. In the meals section I keep my weekly meal plan, grocery shopping list, and recipes for the week if needed. Again, I really love the flexibility the Arc gives me to add and remove sheets. Because I am a list person, I also printed out these forms from The Confident Mom for keeping my household tidy. I love that she has both the filled in file and a file that you can customize yourself. I like some of the suggestions she gives, but not everything applies to me (for example, I only have a one-story house, so cleaning the stairs is not something I need to have on my list). 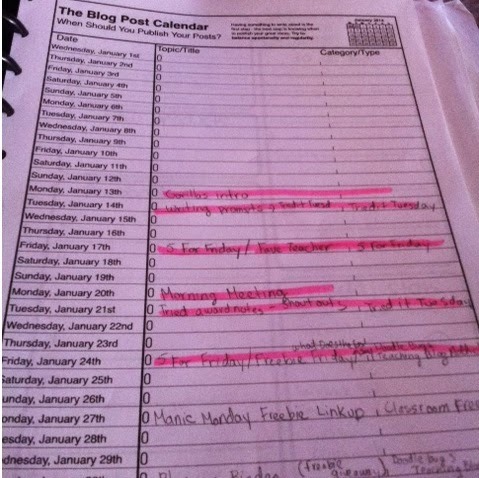 At the beginning of this section I have my monthly blog posts at a glance sheet. I printed this one from Productive Flourishing. They have a freebie link for each month. 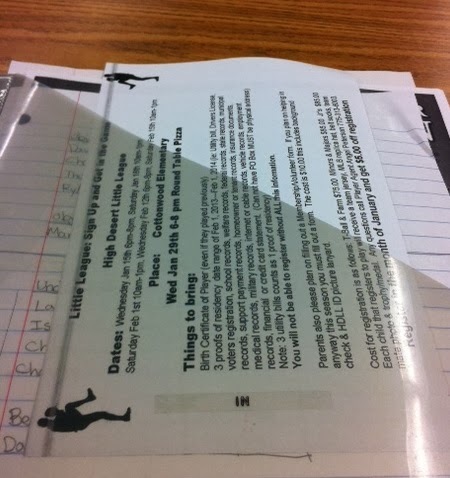 I also have some sheets that I have printed out from this Blog & Store Organizer for Teachers packet I bought on Teachers Pay Teachers from The Clutter-Free Classroom. 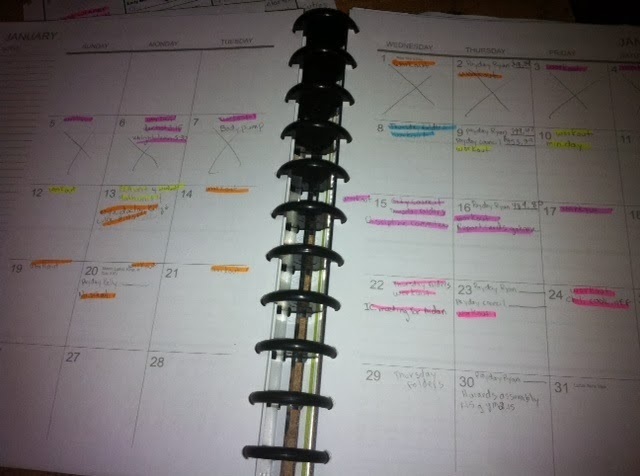 These are divided accordingly between the Blog and TpT sections of my planner. I keep just about everything school related in this section from my yearly plan, to our school calendar, to our duty schedule. I also keep my student's passwords for AR, Study Island, etc. In addition to these items, I have also printed out several printables from The Together Teacher including the Thought Catcher and Meeting Notes. 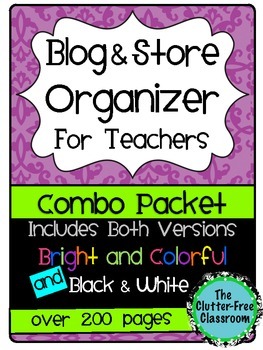 There are also several great articles and ideas for staying organized as a teacher. Even a blog post about the Arc. 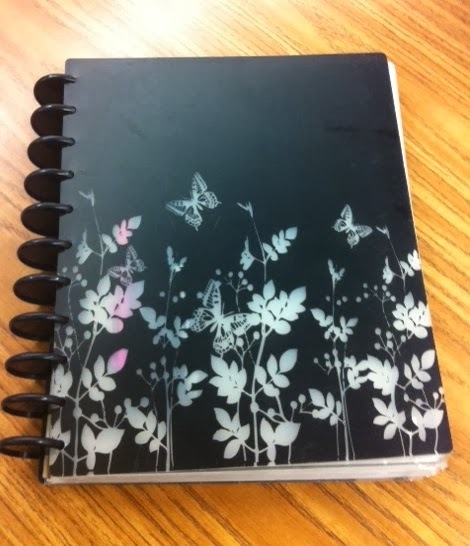 Thanks to the AMAZING people at Staples, you can win an Arc Planner for yourself! 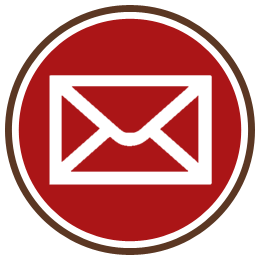 January is a great time to re-evaluate your organizational systems, especially with tax time coming up soon! Get organized now! 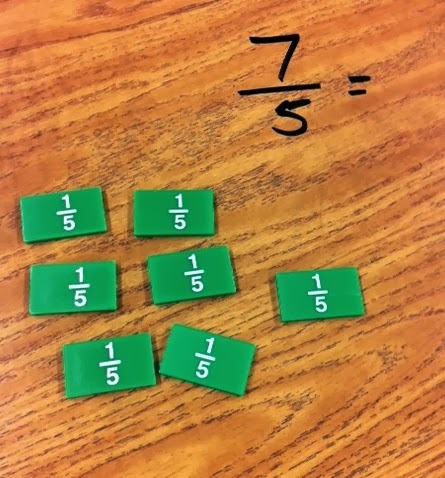 I am linking up with Fourth Grade Flipper for Tried it Tuesday to share a way that I taught some of my students how to convert improper fractions starting with a hands on method and moving to more abstract thinking. 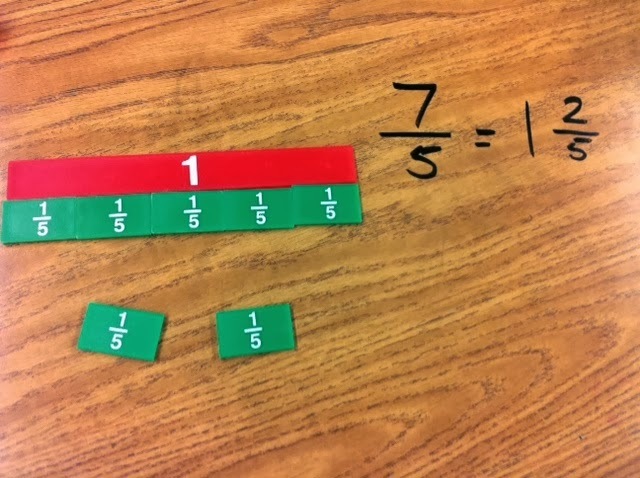 I had the students use fraction strip pieces to model the problem, in this case 7 different 1/5 pieces. Then I had the students place them along a whole unit. 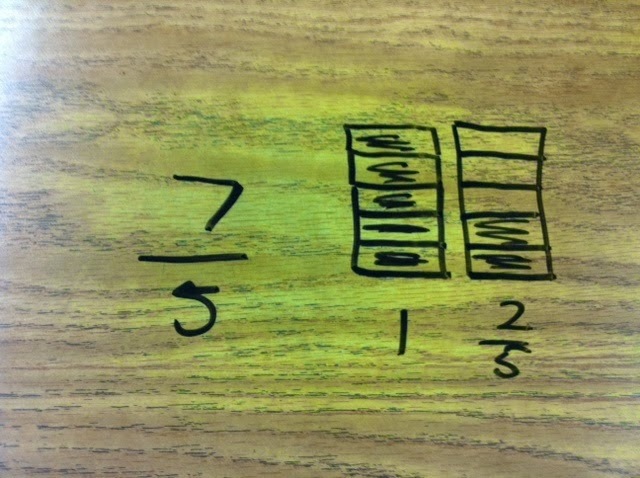 In this case they could see it was equal to one whole and 2 1/5 pieces or 1 2/5. 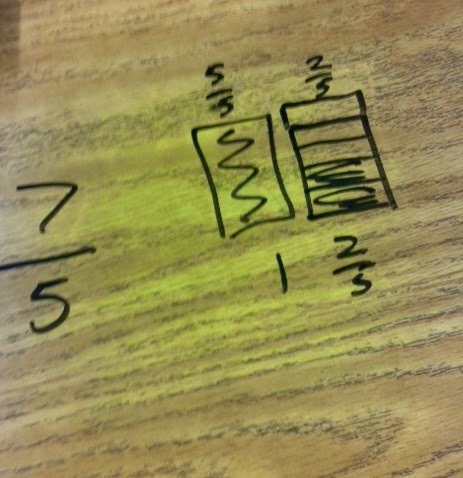 After we practiced some problems using the manipulatives, I had them convert it to drawing. The drawing above is no where near to scale, but I told them as long as they understand that they are equal parts it is ok to just make a rough sketch. They drew out figures representing fifths, and then filled the in to get the 7/5. Again, they could see that it equaled 1 2/5. We began to get a bit more abstract by not drawing out the original "pieces" but instead labeling the wholes above. 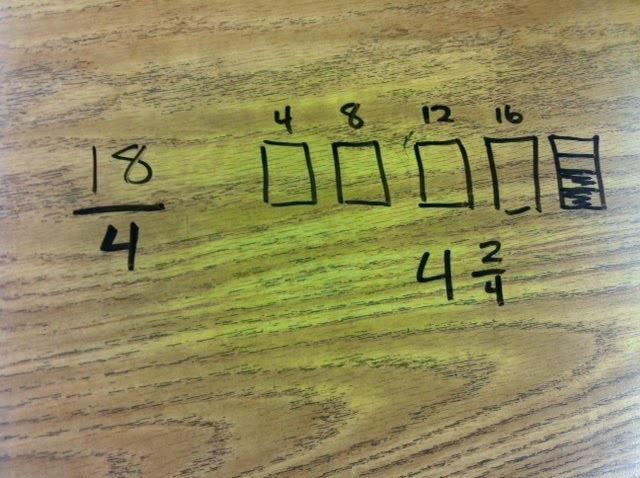 As the students got better, they were able to skip count and draw boxes as representations. I think this was so much easier to explain conceptually rather than starting with the idea of dividing the numerator by the denominator (which is how I was taught). They actually understood WHY you divide the numerator by the denominator. Since I learned math a very traditional algorithm way, I love trying new hands on ways to explain mathematical concepts! How do you incorporate concrete methods into your math lessons? 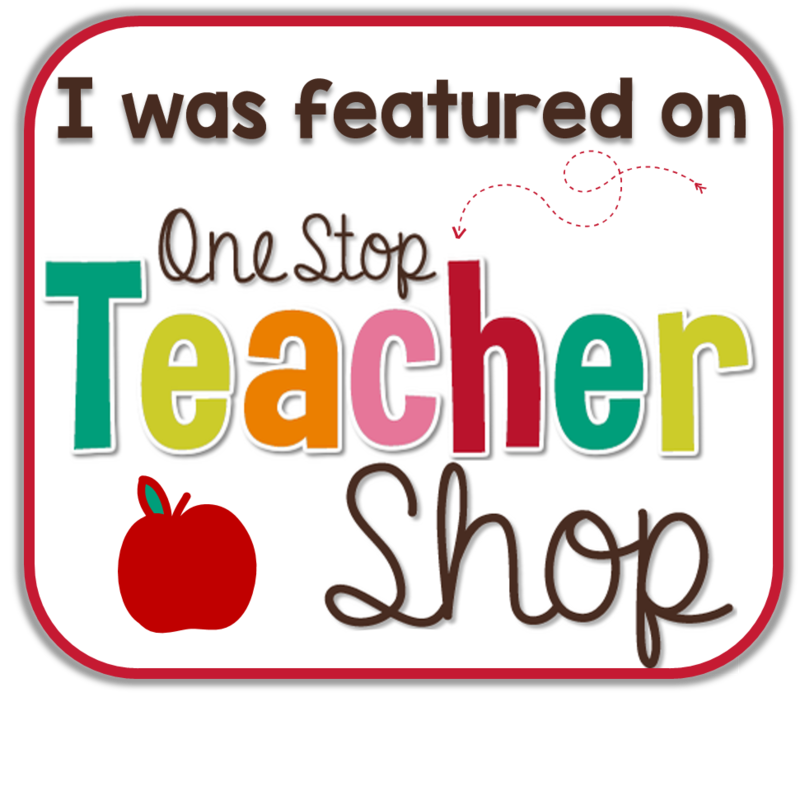 I have been amazingly blessed by all of my followers both here on the blog and also at my Teachers Pay Teachers and Teachers Notebook stores. I am super close to 300 followers at all 3! I am at 315 on TpT, 298 on Bloglovin and 293 on Teachers Notebook! I will be having a giveaway as soon as I hit the big 300 on all three (if you would like to donate or help with that giveaway let me know). AND.. I have an AMAZING giveaway from Staples coming your way this Thursday! But... I also wanted to give back a little sooner (and to all of my followers). I have decided I will be posting freebies twice a week - On Mondays and Fridays. Be sure to follow on Bloglovin so you won't miss any freebies! 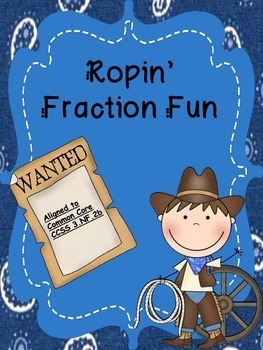 So, without further ado.. my first freebie is this fun and adorable Ropin' Fraction Fun Freebie! Your students will race to find the matching fractions in this cooperative learning game with a fun cowboy theme. Included in this set are 36 game cards which can be used individually, in partners, or in small groups. 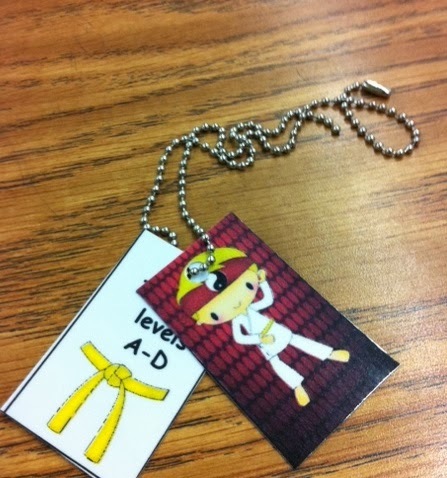 There is also an independent assignment for assessment or extra practice. 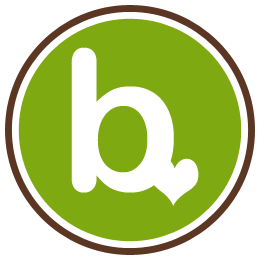 I am linking up with Manic Monday at Classroom Freebies! Be sure to head over for even more freebies for your classroom! 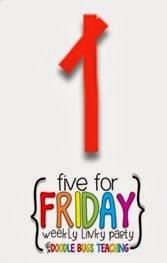 5 For Friday January 24 2014 With A Freebie! Ah! The end of another week! 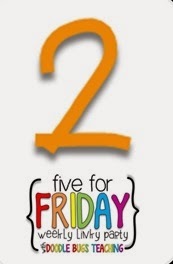 That means time to link up with Doodle Bugs Teaching for Five for Friday! My week started out amazing with this gift from one of my students and his grandma. It's not even my birthday yet, but they just wanted to thank me for my work this year. This particular kiddo has not been super successful in school prior to this year and had a really bad self-esteem. The first day of school he told me no less than 20 times how "stupid" he was. Fast forward to the middle of the year, and he is on honor roll and leadership team and making tremendous strides. He grew almost 30 points on his MAPS tests as well! Woo hoo! I cried when they brought this in! But, speaking of birthdays - today IS my youngest son's 8th birthday! Where does the time go? 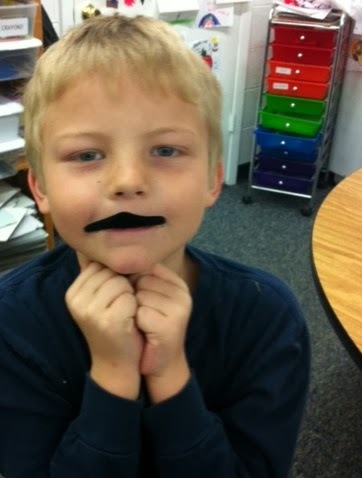 I had to share this adorable pic of him playing around with a mustache he got from the treasure box. 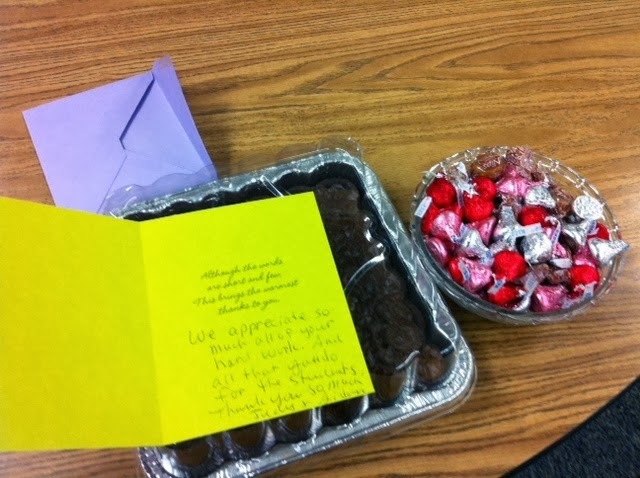 I almost died when I confiscated these from one of my kiddos this week - At first I thought they were the real thing! I was thankful they weren't, but, I didn't even know they made these anymore did you? 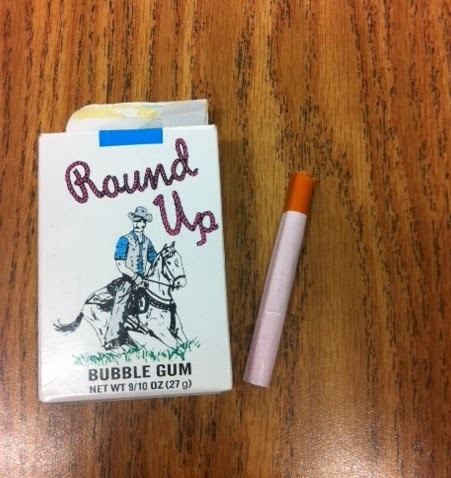 I thought with the tobacco legislation in the 1990's they banned them. I guess not. They look a lot more realistic than the ones I had as a kid. 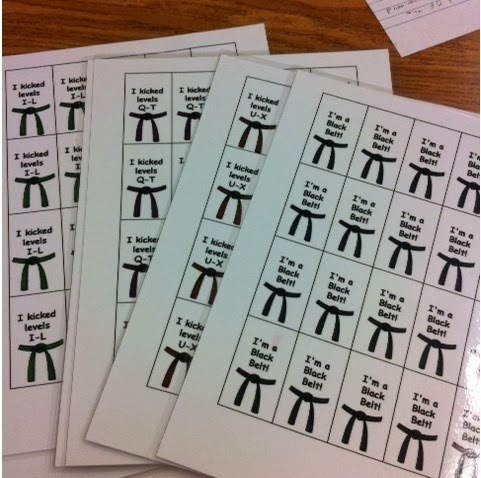 I spent some time this week printing and laminating these guys..
My kiddos have been mastering their multiplication facts and some are heading into division with my Kicking It Math Multiplication and Kicking It Math Division products. They love earning their new belts! And last but not least, a fun little freebie for you! 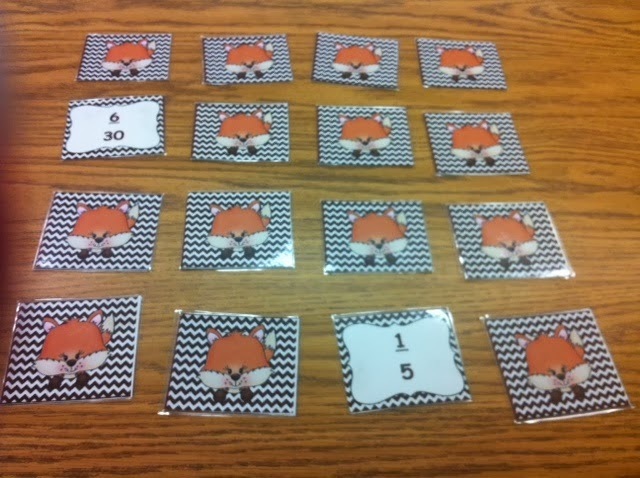 We have been learning about equivalent fractions, and have been having fun with this What Does the Fox Say? About Equivalent Fractions Match-Up Game. They love the song and sing it as they are playing. That can be a bit grating, I'm not going to lie, but knowing that they are practicing equivalent fractions, makes it a whole lot easier to swallow! 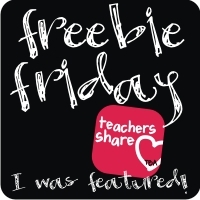 I am also linking up with Freebie Friday from Teaching Blog Addict to share this freebie! You can download the freebie at my TpT store here. 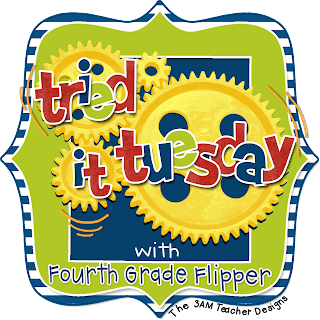 I am linking up with Fourth Grade Flipper for Tried It Tuesday! This week I tried out these Hey You! What's New? Parent Reminders from Teacher To The Core. I found myself wasting time spending hours carefully looking through tons of clip art for just the right pictures, then adding text to it whenever I needed to send parents home a quick note. The worst part? I almost NEVER saved the file, so each time I had to recreate the wheel. And this always would happen during the most crazed weeks - you know the ones with last minute schedule changes, principal observations, homework for a class due, child's out of town baseball tournament! Luckily, a few months ago I was perusing Katie's blog when I saw these adorable Reminder Notes! 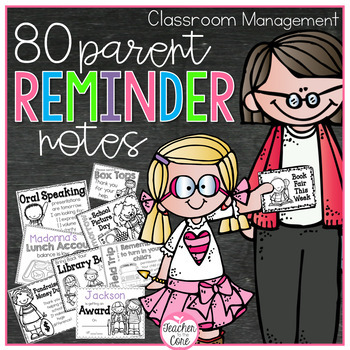 Not only are there reminder notes for just about every thing you could ever think of - they are cute to boot! 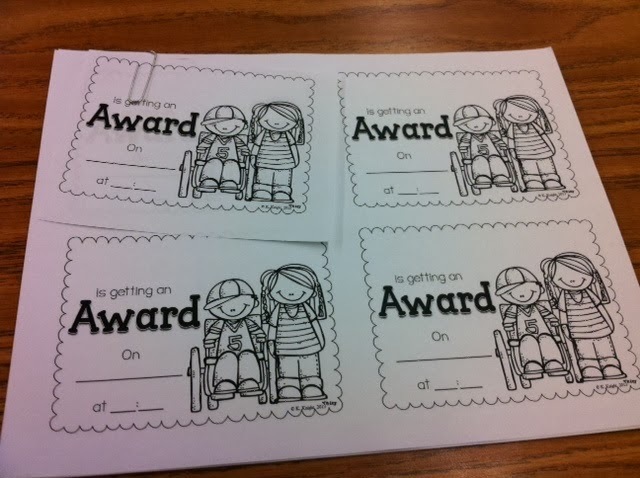 We have an awards assembly coming up for the end of the quarter, so I printed a few of these out. Then I quickly filled in the information needed. 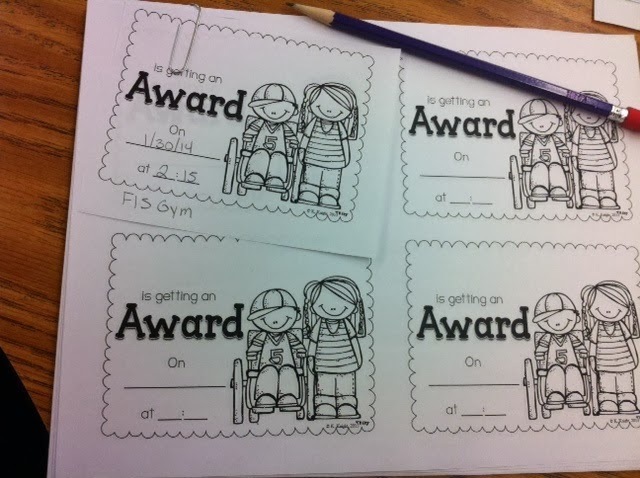 If I had more awards to give out, I would have filled them in first, then copied them! What new things have you tried out this week? Link up and share! 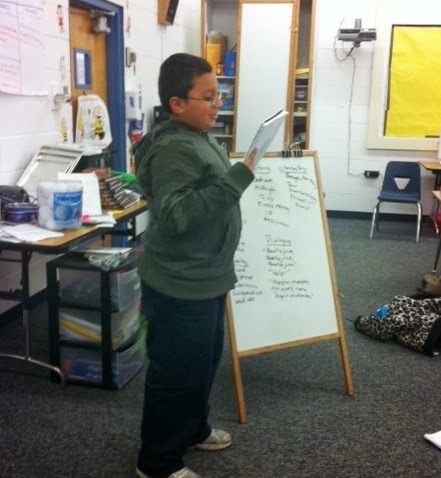 The student of the day leads the class through the rules which are posted on the board. As the students choral chant the rules, they also do hand gestures for each one. 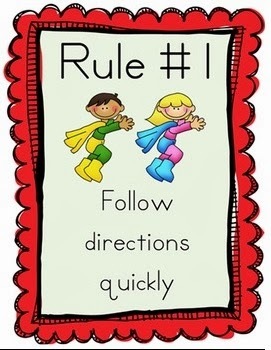 You can find free printable posters for the 5 Rules here. After we review our five rules, we recite our class mission statement. Our mission statement is just a slight revision of our school mission statement. To create a community that can collaborate, communicate, create, and critically think through reading, writing, math, and technology. 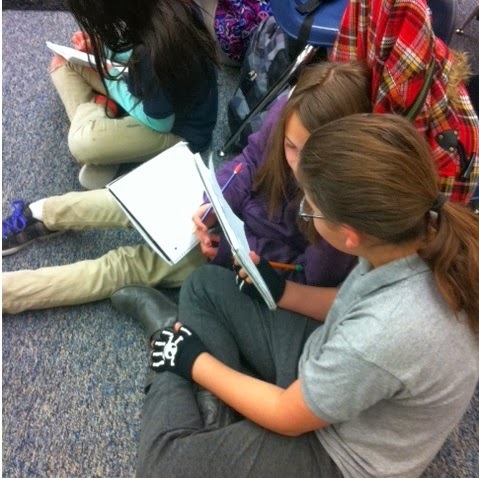 We are a community of learners that can collaborate, communicate, create, and think critically through reading, writing, math, and technology. I found a pledge on Mrs. Gold's website that would also work for a class mission. You could also have the students create their own mission statement. to try my best and be all I am. While we wait for the morning announcements on the loud speaker, we have sharing. Sometimes it is structured with specific Q&As while other times I let them share whatever they would like to share from show and tell items to stories. They LOVE this time! Our pledge and announcements come on over our loudspeaker led by the secretary at our school. If I have any additional announcements I let them know after the school announcements. I usually prepare a letter to the students to let them know what we will be learning that day. 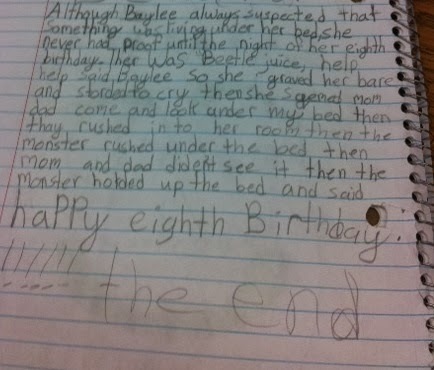 Sometimes I will intentionally make mistakes for them to edit and other times I will throw in review questions. I stopped doing the morning message for a little while and they begged me to bring it back. 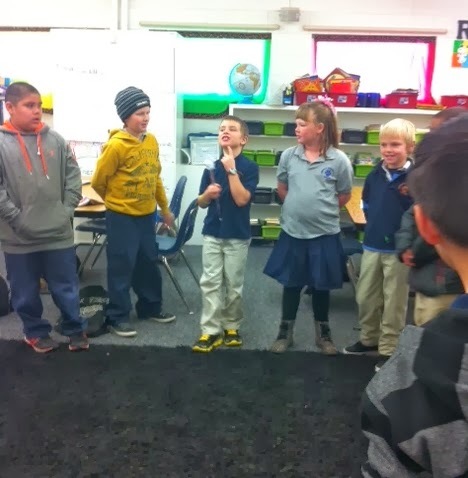 For more Morning Meeting Ideas, Follow my Morning Meeting Pinterest Board here. 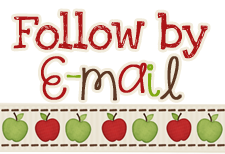 You can also follow me on Pinterest for all of my teaching related pins! I love this morning meeting from The Teaching Channel. I've been thinking about ways to add some of these structures into our meeting as well. 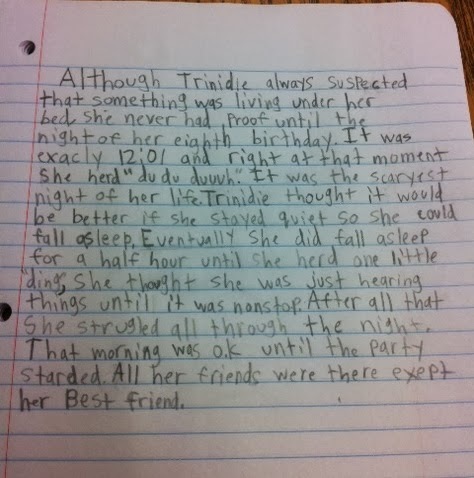 Today I tried a writing technique a fellow teacher had shared with us last year, but I had never gotten around to using it. This year I decided I needed to give it a try, because my kiddos HATE writing! It is almost like pulling teeth to even get them to write a paragraph. So... I decided to give it a try. 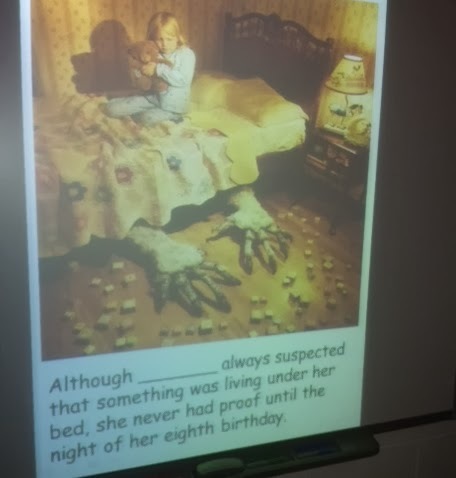 The idea is to provide the students with a picture prompt. 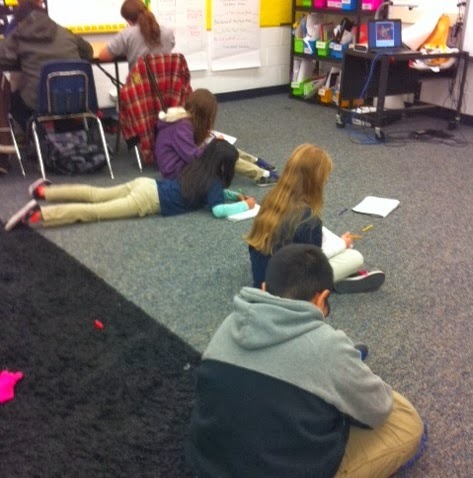 They then have 10 minutes to write as much as they can with the goal to increase the amount they write each time. I have this one and a ton of other great picture prompts on my Writing Prompts Pinterest Board. I will be adding to this as I find more. You can also follow all of my Pinterest Boards here. After I showed the students the prompt, we brainstormed out loud. Ignore my messy handwriting (and the room as well - it always seems like a tornado goes through it during the day!). I can't emphasize enough about how important I believe the verbal brainstorming before writing is. Then the students got to work. Some wrote at their tables. Others chose to stay on the floor. When they finished writing a few of them shared what they wrote. The amazing thing was that some of them started adding to their writing spontaneously as they heard what others had written. They even collaborated with each other. Here are a few of the finished pieces. I chose to only give compliments rather than editing critiques so that they could really learn to love this time. 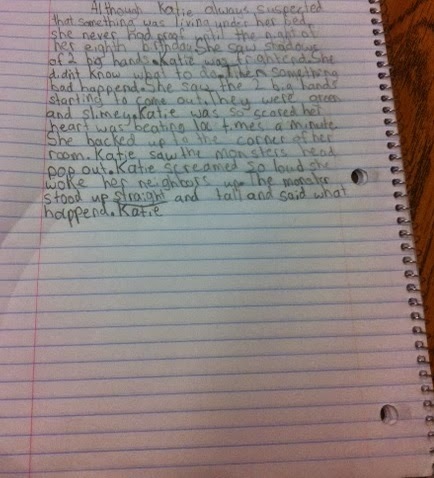 I told them they could continue their stories during Work on Writing during Daily 5 or abandon them. That is an author's choice. 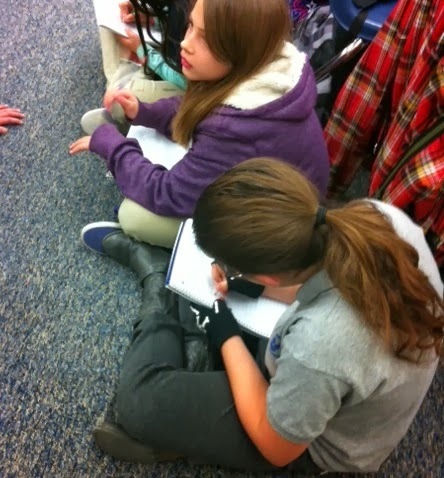 Some of them started to add dialogue which they hadn't previously done. 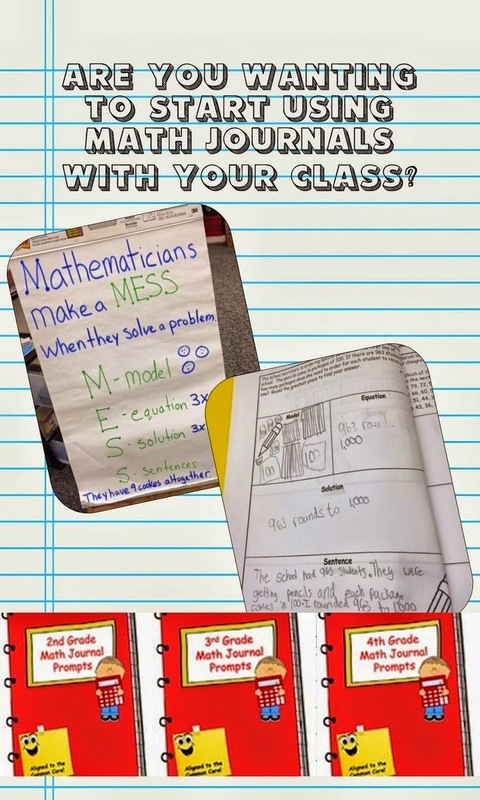 I loved the results and I loved how engaged the students were! This is definitely something that I am glad that I tried! 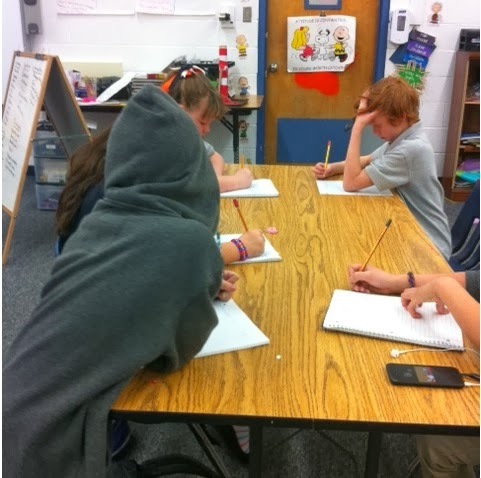 Have you tried anything different in your classroom lately? 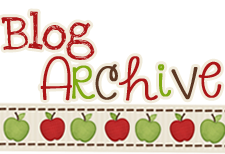 Five For Friday January 3, 2013 And Giveaway!